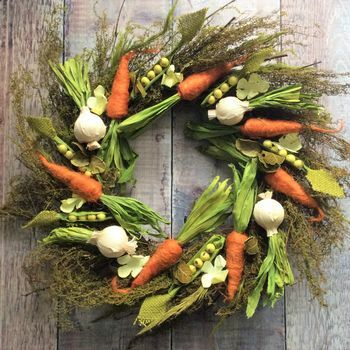 Paper vegetable Easter wreath decoration. Wow, what a showstopper! 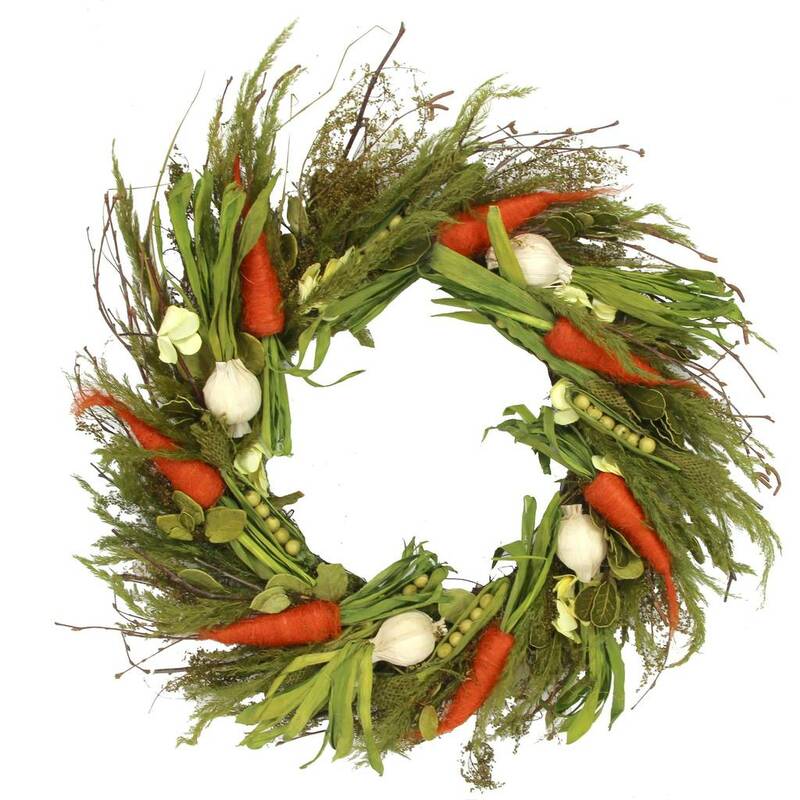 Beautiful fresh coloured paper spring vegetables wound onto a twig wreath. 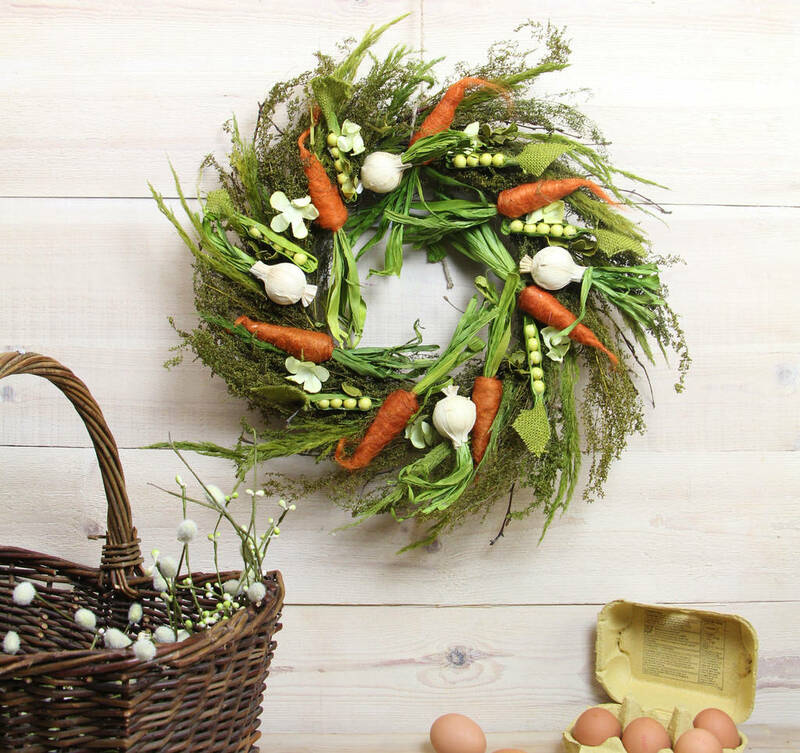 This Easter wreath has a fabulous rustic design that will make you the envy of your friends and family. A truly amazing Easter decoration. 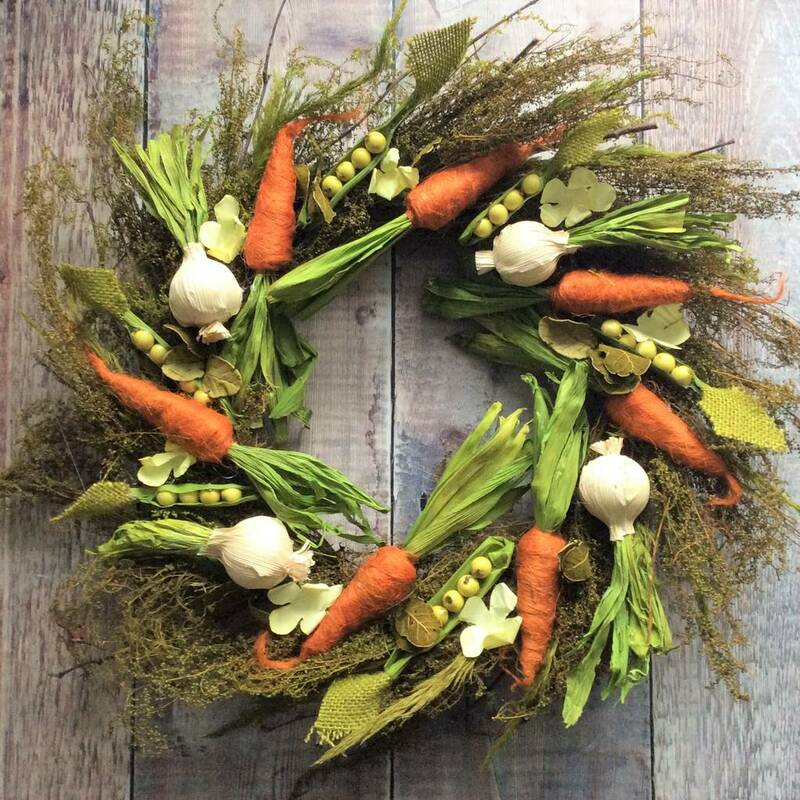 Also a great gift for a veg gardener or allotment keeper.